In early 2019 we were given the opportunity to exhibit at The Marketing Show North at Manchester’s Event City. As well as being an excellent excuse to show off our not inconsiderable video production talents, the studios and our kit it was a chance to meet with some great companies from Manchester and worldwide. What is the Marketing Show North? Organised by Prolific North Live The Marketing Show North is venue where media, creative, digital, and marketing communities can experience the latest innovations, exhibit and network. In 2018 it was welcomed over 3500 visitors and this was at the height of the “Beast From The East” weather disruption. This year keynote speakers rallied from across the globe, exhibitors attended from the 4 corners and entrepreneurs and companies headed to Event City to learn the secrets of 2019’s new marketing initiatives. As a video production company it was an obvious venue to showcase our studio toys. 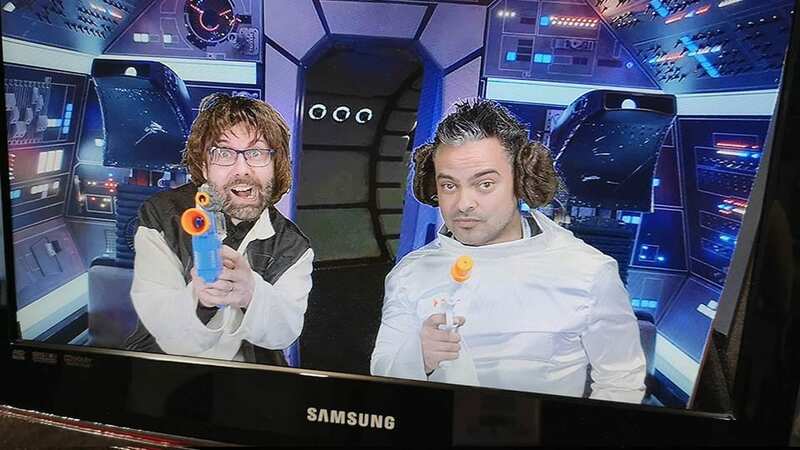 Especially our green screen capabilities as Galleon Studios are unique in Manchester by being a video production company with two fully equipped green screen studios. We opted for a 4 meter by 3 meter stand that would allow a comfortable environment for visitors. 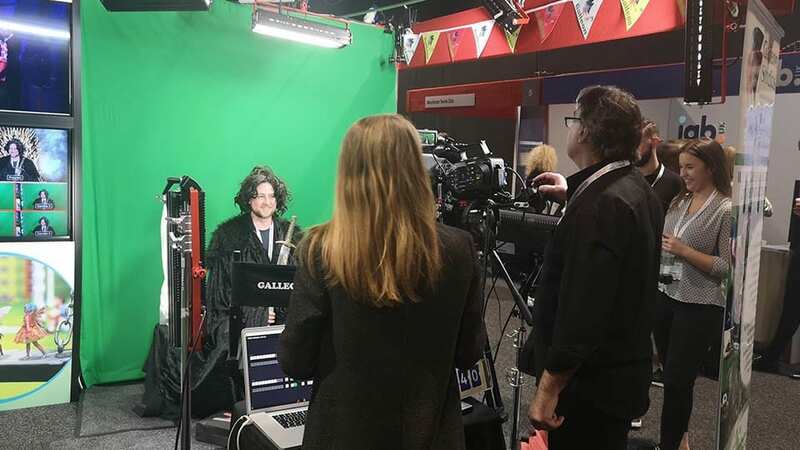 This meant dividing the stand between a meet and greet area and a dedicated green screen studio complete with cameras, autocue and green screen live keyer. Our Live Keyer is a fantastic piece of video production kit that takes a camera feed, mixes it with your background and outputs both to a monitor. It’s an essential piece of video production kit for the studio as it allows clients to preview their chromakey video as they shoot. This allows for correct lighting, placement of subjects and effect experimentation that otherwise would all be guesswork. At The Marketing Show North it allowed us to have a bit of fun with delegates. 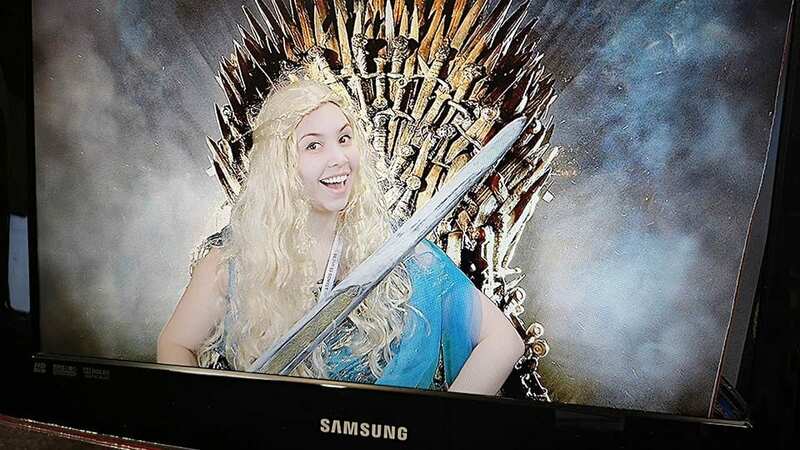 We offered attendees the chance to star in “Game Of Thrones” or “Star Wars” complete with outfits and costumes courtesy of the green screen. It was a great way to break the ice and introduce our services to many, many willing businesses and entrepreneurs. As a prize we offered participants a share of £15,000 of video production at our Manchester studios. This meant 5 lucky winners would receive a share in the video marketing prize giving them the chance to make digital content for their brand. Our stand had over 400 visitors with 200 of them tweeting images of their starring roles in these two epic franchises. The Marketing Show North in Manchester ran from the 27th February to the 28th. Our stand consisted of three built in screens. Two Of which presented our showreel (one in glorious vertical video) and the other the output of our live Green Screen keyer. Access to Event City to build one’s stand was available on the 26th from 8am. We knew we had to build our challenging stand in this time frame. Galleon Studios are adept at building sets in our studios in tight frames so we were able to construct the stand in around 6 hours. We chose photos to adorn the graphics of our stand that highlight the diverse projects we have worked on and to keep the nautical theme bunting decorated the top of our stand. A special shout out here to our in-house graphic designer who created the graphics of the stand and did a great job in tying our branding, photos and green screen together as unified theme. 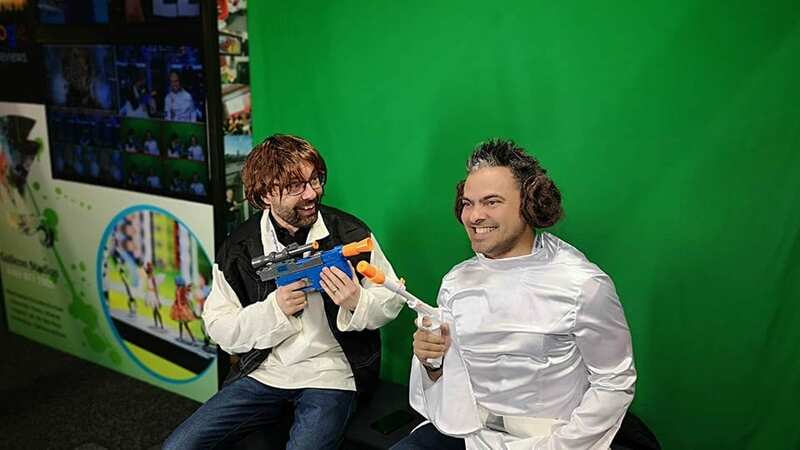 We also had of course our green screen. 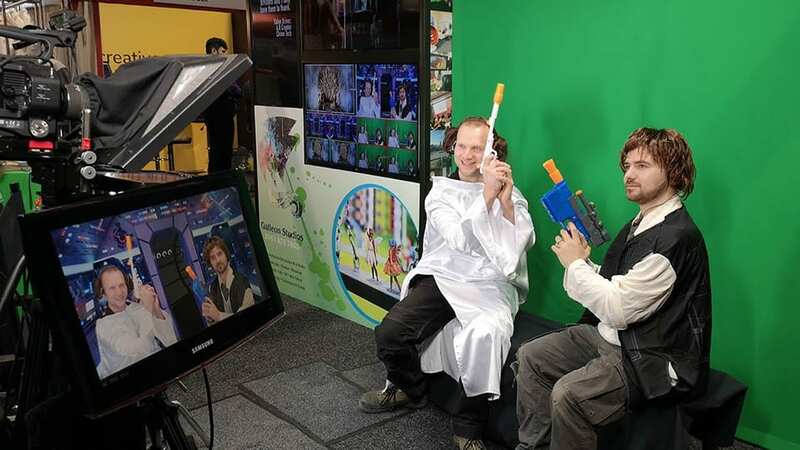 As discussed at length in our blog “how to shoot for green screen” the key to a successful green screen production is lighting. As such we had to transport our studio lights to the venue and recreate the lighting scenarios we have pre-lit on our studios. 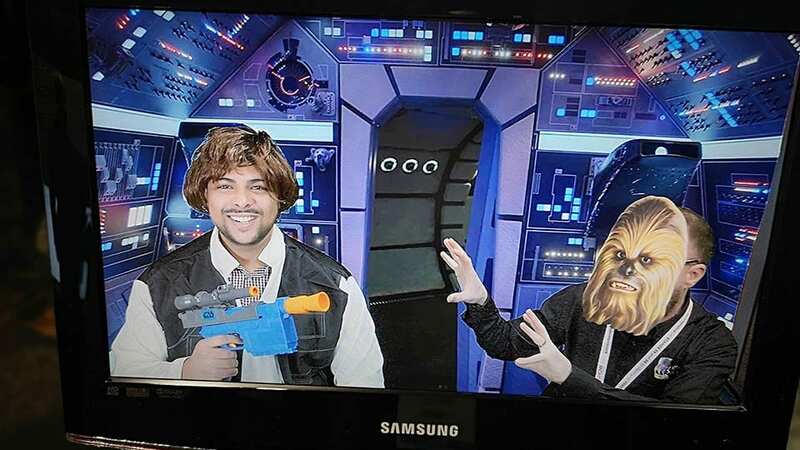 Our aim was to craft a comfortable non-intimidating location for people to relax, experience the green screen and star in their own mini-masterpiece. 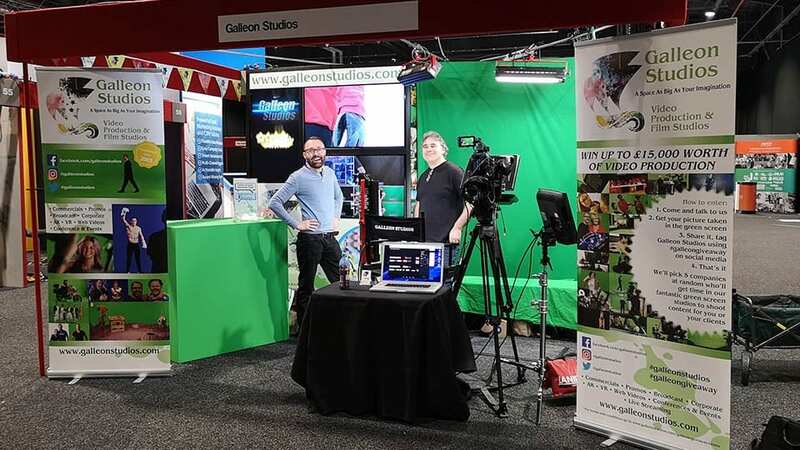 It gave people a chance to meet us, chat about their companies and see the wide variety of options open to them by embracing green screen an part of their marketing. The overall result was an eye-catching and much praised stand that attracted much interest and numerous visitors. Of keen interest to attendees was our vertical video offering. People shoot content on their mobile phone and the default setting for this is to film it portrait. Indeed Instagram’s IGTV only accepts vertical video and there is a great opportunity for marketing companies wanting to expose this underused area of video content creation. As such Galleon Studios have a bespoke vertical rig we sue to creat social media videos especially for IGTV and other vertical platforms. Our vertical screen allowed us to spotlight our Vertical Video content and this includes our numerous Augmented Reality projects including our AR walking tour of Manchester available thorough the Buzzin App. Creating digital content is tough. If you’re a company that makes greetings cards being told you need to generate up to 50 videos a year then that can give you pause. According to Cisco by 2020 80% of all Internet traffic will be video. The Marketing Show North is a great place to find companies that can fill the gap in your own marketing strategy. While there we met with many marketing agencies, businesses and entrepreneurs looking to create video content for their brand(s). User generated content is not getting the results it sued to. Customers are demanding a more “professional” aesthetic to video content, be that using a dedicated studio space for their marketing films or hiring a video production company to create their social media content, product videos or client testimonials. 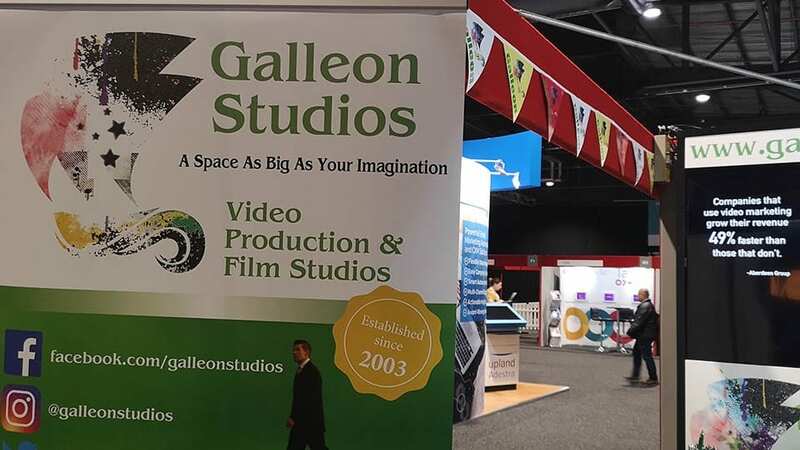 Galleon Studios were not the only Manchester Video Production company in attendance at The Marketing Show North. Furthermore eye-catching exhibit also allowed us to pitch our studio spaces at the other Video Makers at the show. On a personal note it’s great to see so many video creatives carving out opportunities for their video services. There are so many diverse companies in Manchester that there is no need for competition; collaboration is the key to success. To this end it was great to strike up so many conversations and potential partnerships with fellow video industry professionals. Having been established since 2003 Galleon Studios we are always looking to expand our roster of clients. 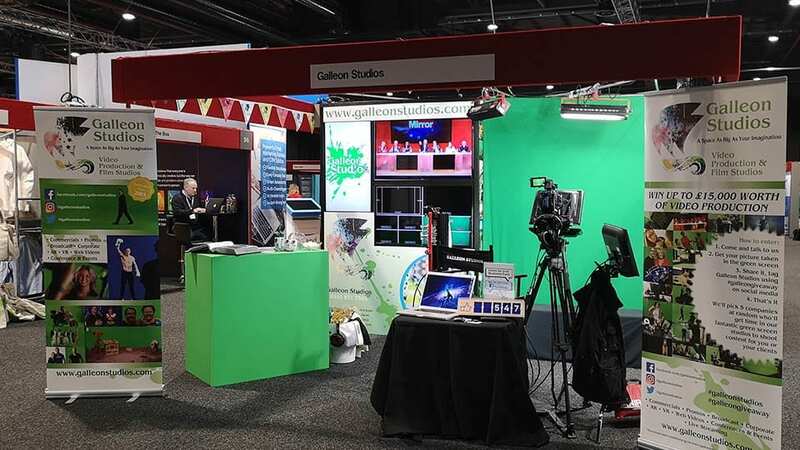 Prolific North’s Marketing Show North in Manchester was a new opportunity to place our studio services front and centre to an audience wanting to remain on the cutting edge of Marketing. What the event ably demonstrated is that video marketing as means of communication of your product or message is going nowhere and moreover companies wanting to capitalise on the benefits of video in terms or reach and SEO need to partner with a capable video company. Luckily there are marketeers we met with at the show who had a clear grasp of their aims and we look forward to working alongside these great forward thinking entrepreneurs and companies.